Few knew the German satirist and talk-show host until earlier this month, when he triggered a bilateral crisis between Germany and Turkey by reciting a vituperative poem about Turkish President Recep Tayyip Erdoğan. Böhmermann started his show Neo Magazin in 2013 under the aegis of a secondary channel of the public TV-giant ZDF. Neo Magazin targeted a young, internet-savvy generation, far from the general audience of ZDF. Bohmermann paved his way to stardom by performing clever, mostly internet-based gags that ended up as viral videos across all German social media. His latest hit before the Erdogan uproar? A music video in which he urged a diverse Germany that warmly receives refugees. Other shining moments include a Hitler take-off (“Haul Hitler”) in which the Fuhrer sells his stuff on Ebay, and a video manipulation of a speech by former Greek financial minister Yannis Varoufakis, in which Bohmermann photoshopped a middle finger onto the minister’s hand, directed at the Euro. 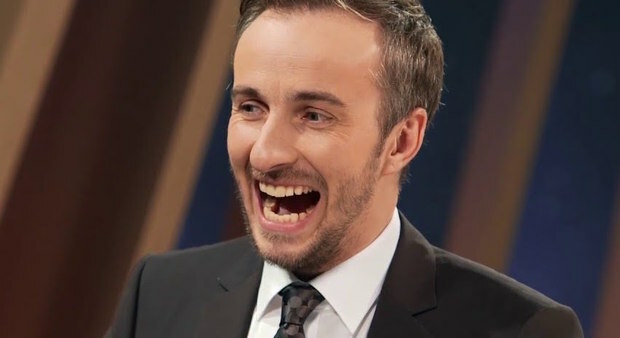 Böhmermann’s satirical style has gone down well with the public – he received one of the most prestigious awards in German media, the Grimme-Preis, for his stunts earlier in 2016. ZDF then rewarded Böhmermann with his very own TV show, “Neo Magazine Royale”, shown as part of the channel’s primetime main schedule. Within German culture, he’s not comparable to what Jon Stewart became in the U.S.—not yet. Böhmermann started like Trevor Noah – a bit more confrontational, with a show structured in a simpler way. In principle, his jokes suggest what a hard time everyone has these days in stating simple truths. German society, much like American society, increasingly places a taboo on what may be said, as well as on when, where and how things may be said. In his down-to-earth way of addressing the audience, Böhmermann most resembles Oliver. Oliver compiles extensive research and turns it into intricate, pointed content, while Böhmermann emphasizes the visual. Both, however, succeed by being in-your-face with the viewer. Bohmermann’s vituperative poem against Erdogan – who in recent years has limited Turkish press freedom, implemented internet censorship, and violently broken up demonstrations, among his other authoritarian acts—properly and rightfully targeted exactly the sort of leader any satirist should attack. It is, after all, the Erdogans of our world who seek to crush free speech, art and media. The “poem,” however, is not high art. It suggests, in the basest terms, that Erdogan indulges himself with goats and sheeps, and that his private parts stink like Doner, the popular Turkish dish. It rhymes only on the most basic level, does not impress with poetic devices or elegant use of vocabulary. It is classic Böhmermann—in your face. One does not need to credit it as art to recognize it as legitimate satire. Alas, Bohmermann and many others quickly discovered that an antique paragraph in the German criminal code penalizes the insult of foreign heads of state. Erdogan demanded that the German government prosecute Bohmermann under that section, while also filing a private complaint against him. On Friday (April 15), Chancellor Merkel announced in a brief statement that the German government would permit Erdogan’s action to proceed under the “insult” paragraph, but that the provision would be repealed as of 2018. German media reported much disagreement within the government about Merkel’s decision. For now, Böhmermann could face up to three years of jail time. Meanwhile radical Erdogan supporters, outraged at Böhmermann, have issued death threats against him. Late last week Bohmermann came under police protection from those threats and ZDF canceled last Thursday’s broadcast of his program. The Turkish population in Germany now stands at 3.2 million. Their grandparents came to the country as Gastarbeiter (guest labourers) in the 1960s. Erdogan sees them as an outpost in Europe—he has tried to instrumentalize them politically before. How will Germans react to the government’s decision? We’re waiting to see. Merkel now relies on Erdogan’s cooperation to deal with the refugee crisis. That’s the only explanation for why she distanced herself from Böhmermann in a telephone call with Erdoğan, arranged before Bohmermann’s performance of the poem. According to her spokesman, she called Bohmermann’s presentation “deliberately insulting.” But her remark did not suffice for Ankara. Erdogan’s vice-premier Numan Kurtulmus described the poem as a “crime against humanity”. Such language can only be considered laughable in light of Turkey’s countless crimes against humanity (think Armenian genocide). It shows how Erdogan and his entourage now perceive things like a Sultan and his Ottoman court. In the meantime, discussion in Germany is heatedly exploring the boundaries of satire. Much cited, in this case, is the writer Kurt Tuchholsky, who observed, “Satire can do anything.” Satire in most cases seems to remind the 1%, the ruling class, the elites, of their vulnerability—that they don’t stand above the people. In-your-face Jan Böhmermann can be seen to have advanced German satire, which boasts a long lineage back (at least) to Friedrich Schiller, who called for “heroism before a king’s throne” in his Ode to Joy. The continuing question in the Böhmermann case is the one Turkish-German satirist Serdar Somuncu asked on one of the most popular German talkshows: Has Germany, because of its refugee deal with Turkey, become vulnerable to blackmail? Is it now dependent on Erdogan’s mood? The Böhmermann controversy shows the extent to which the Turkish president now influences public life in Germany, dictating moves to Angela Merkel.